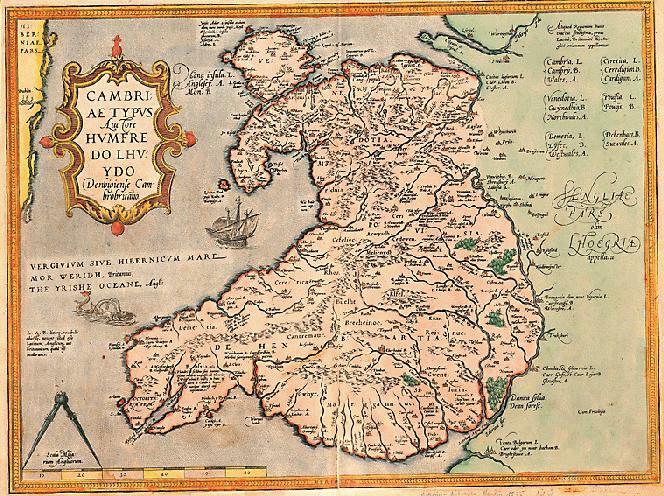 Below is a copy of the first printed map of Wales by Humphrey Lhuyd in Cambriae Typus, 1573, and is kindly provided to the Castles of Wales web site by Mr. R.D. Griffith, who found the map in a London Antiques shop. The original map resides at National Library of Wales in Aberystwyth.